Who is your favourite Australian historian? Why? In 14 finely drawn portraits, book-ended by a reflective Prologue and Epilogue, Tom Griffiths, WK Hancock Professor of History at the Australian National University, turns to writers who have ‘inspired and influenced’ him. Not all of these writers are known as ‘historians’. Notable Australian historians are omitted. Each writer is situated in relationship to Griffiths and to his or her field. Their stories overlap and collide; critical themes are announced, developed and contested. The result is a book that tells a number of stories within a narrative arc constructed by Griffiths. For Griffiths the tension between the past as familiar and the past as strange is the terrain of the historian. ‘The essence of good history is this balance between empathy and perspective, intimacy and distance’ (p.5). His choice of exemplars is refreshing and revealing. From his opening chapter on The Timeless Land of novelist Eleanor Dark to his concluding chapter on archaeologist Mike Smith, dubbed ‘Dr Deep Time’, Griffiths takes the reader on a journey where Griffiths’ personal biography and professional passions intertwine. Within this storied web Griffiths’ ‘historians’ manifest the art of time travel as Griffiths teases out the threads of their craft. ‘Eleanor Dark never claimed to be a historian’, writes Griffiths (p. 19), ‘ but she took the craft of history very seriously’. Griffiths ponders ‘how and why a writer of fiction came to invest so deeply in an empirical quest for historical understanding’ (p. 20). He traces Dark’s groundedness in place and ‘her imaginative empathy for Aboriginal life’ (p. 27); turns to her biographers to locate her within a community of ‘socially engaged writing at a time of fascism and looming conflict’ (p. 24); relishes his time spent at Varuna, her home in the Blue Mountains, now a ‘writers’ house. In realising the ‘big story about British colonisation at Port Jackson was the encounter between settlers and Aborigines’ (p. 32), Dark is cast as being decades ahead of Manning Clark, who is noted as a historian who walked the country of which he wrote and who recurs in a number of the sketches as an influential teacher, but is not one of Griffiths’ ‘subjects’. Timelessness moves into active voice as Griffiths addresses how to write of, think about, honour and learn from a past that reaches back across some 40-60 000 years of Aboriginal culture. John Mulvaney lays the ground in his The Prehistory of Australia (1969); shifts the focus from artefacts to the people who made them (p. 67); establishes that Australia has a Pleistocene past; shapes the ‘golden years’ of 1960s of Australian archaeology (p. 67); and humanises the past with his use of archaeological techniques and perspectives (p. 71). Mike Smith, of the next generation of scholars, plumbs the depths, both stratigraphic and philosophical, of the desert homelands of the original inhabitants in his The Archaeology of Australia’s Deserts (2013). He scours the historic and ethnographic record, writes individuals and their families into the narrative, and demonstrates the necessity for deep-time historical analysis to aid our growing understanding of anthropogenic climate change (p. 316). How then to situate one’s account of human agency in a land of harsh droughts, devastating floods and new understandings of climate change? How have historians written of the environment? Try Discovering Monaro (1972) with Keith Hancock, who turned from the writing of world affairs to focus on his own backyard in a proudly ‘parochial’ local history and in so doing penned a pioneering work of environmental history (p. 43). Look to a regional history where birds, animals and plants share the stage with humans (p. 158)? Eric Rolls’s A Million Wild Acres (1981) evokes a ‘speaking land, a sentient country raucous with sounds’ (p.165) and in Griffiths’ view is ‘the best environmental history yet written of Australia’ (p. 159). How to imagine a respectful vibrant nation built on theft of land and violence? 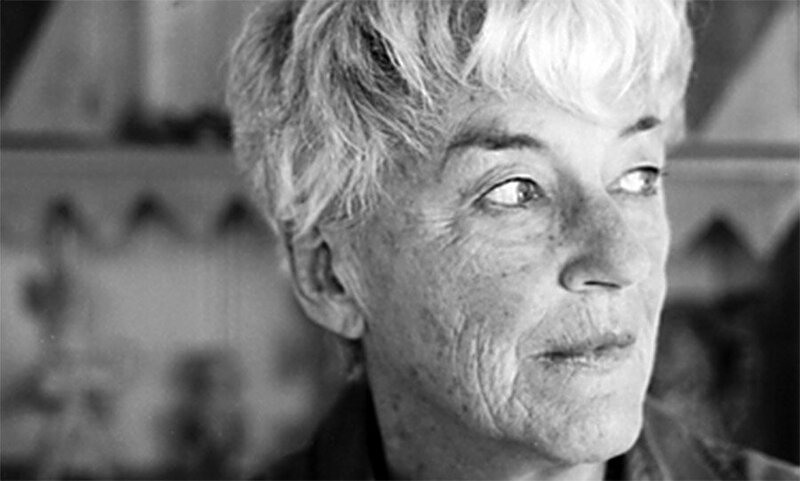 Listen to Judith Wright’s The Cry for the Dead (1981) as poetry and politics come together to produce ‘disciplined non-fiction’ (p. 94). 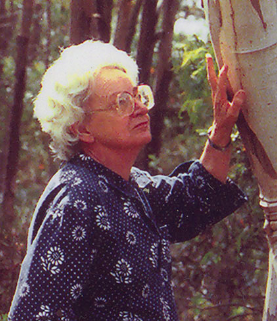 From the daughter of a pastoral dynasty to full-time conservationist, Wright reflects on how her knowledge rather than her views changed. She was serious in her determination to be able to show exactly what happened and when. She read the new histories and the old ethnographies. She revisited her rural roots, listened to local stories and photographed soil erosion (p. 104). As Griffiths says, ‘Wright portrays a frontier caught, from its very beginnings, in a web of intrigue, curiosity, violence and anxiety, a fatal psychological embrace, and she shows how the tensions between history and memory, and between public and private, are ingrained in Australian frontier experience’ (p. 109). What do historians have to say of the so-called ‘culture wars’? Henry Reynolds stepped The Other Side of the Frontier (1981) to tell the story of frontier violence. Keith Windschuttle attacked the scholarship as ‘fabrication’. For Reynolds, the battle was not about the body count, but rather the nature of history and memory, the ethics of deploying the language of war to frontier violence (p. 141). He looked back to the security of unilineal, directional time where Aborigines remained in their place and history was the story of Westernisation (p. 142). Reynolds strode on to the other side of the Australian Legend and in his ‘lean, linear and logical’ style, ‘honed out of his engagement with passion, politics and power’ (p. 138) wrote of legendary Australian ‘frontier values’ to be found among Aboriginal peoples (p. 153). Geoffrey Blainey’s The Tyranny of Distance (1966) established him as a ‘master of narrative history’. Blainey endorsed ‘warfare’ as appropriate language but, as Griffiths notes, ‘Blainey also made his career as a contrarian’ (p. 74-5). In his 1984 ‘All for One’ Warrnambool speech and subsequent depiction of the influx of Asian immigrants as threatening social coherence at a time of unemployment (p. 75), Blainey’s claims for the so-called silent majority, I hear resonances with Pauline Hanson’s One Nation rhetoric. It was Blainey who first spoke of what he saw as a swing of the pendulum from an optimistic view of Australia’s past to a more gloomy ‘black armband history’. In so doing he could be depicted as opposed to his former teacher and prominent public figure Manning Clark. Is this to be understood as a matter of content or emphasis? Follow the footnotes. It is worth revisiting Making History (1985) for the exchanges between Crawford, Clark and Blainey and the introduction by Stuart Macintyre. How to interrogate the relationship of history to fiction, of novelists to historians? Inga Clendinnen’s searing critique of Kate Grenville’s The Secret River (2005) dispenses with sentiment. ‘Novelists are free to “pillage” the past, but it is the historian’s civic and moral duty to insist on context’ (p. 271). Is there a hard and fast distinction to be drawn? In what voice and with what resonances is the ‘story’ of Australia told? Clendinnen’s contribution to these debates clarifies and insists that there are differences between history and fiction and they are important. ‘And it is incumbent on historians – on those who choose at certain moments to write history – to insist and reflect on the distinction’ (p. 271). As an Australian anthropologist, I am tempted to trace the intellectual genealogies which bind Griffiths’ ‘historians’ into a kind of community; to sketch the defining characteristics of his ‘subjects’; to map bonds, friendships, marriage and kinship, fictive and real; to name the Melbourne-Canberra axis as schools of history grow, personalities clash and generations inherit, elaborate and reject the wisdom of their teachers and elders. Turning the anthropological gaze within the communities where history was being contested, I might focus further on the generational struggle for the heart of Australian society waged in the History Department of Melbourne University. Overall, I am struck, yet again, by how numerically small is the world of persons of ideas in Australia; how a handful of Australian ‘historians’ have been able to generate so much heated debate and disputation; and that it is possible to have known and worked with each of them in the span of one lifetime. There is much more to be said of the craft of the historians Griffiths has brought into dialogue. Of particular interest to me is the acknowledgement of the work of anthropologists, such as that of Clifford Geertz and Griffiths’ debt to his teachers, Greg Dening and Donna Merwick, a couple whose work is profoundly inflected by ethnographic data and anthropological theory, whose postgraduate seminar ‘Challenges to perform: the creative imagination in the presentation of knowledge’ at Melbourne University set Griffiths on the path towards a ‘robust celebration of intellectual debts and dialogues’ (p. 115). Dening’s impatience with ‘thinkers who want the last word, and with disciplines that claim a final truth’, his injunction to ‘rejoice, inspire and image’ (p. 115) have stood Griffiths in good stead in his endeavour to address matters critical to the craft of his chosen historians. Merwick’s insistence on ‘precision and imagination’ continues to enhance Griffiths’ writing. Geertz’s ‘thick description’ is acknowledged as a central concept in the work of the ethnographic-inclined historians. Less explicit is an acknowledgement of Geertz’s distinction between ‘being here’ and ‘being there’. The ethnographer transports the reader to over ‘there’ and asserts ‘I was there’ but being ‘there’ in the land of other, the exotic, the far-distant serves to mystify. The art of the anthropologist is to write ‘here’, to bring the insights to their readers where they live. ‘Where am I? and ‘Where are they?’ were Ruth Benedict’s reflective questions and are questions that infuse Griffiths’ portraits: he is both participant and observer. He is ‘Walking the City’ with Graeme Davison in the Melbourne inner suburb of Richmond (p. 221) as an ethnographer would. In celebrating the work of Grace Karskens, Griffiths notes that her article ‘Public History–Academic History: the common ground’ opens with ‘select excerpts from the diary of a public historian’ (p. 273). She has taken us ‘there’; she is a participant. In The Colony (2009), Karskens brings these insights ‘here’ as ‘she tells the story of Sydney, the Eora town, where Aboriginal people have lived ever since Bennelong, his family and friends “came in” in the late 1790s’ (p. 296). 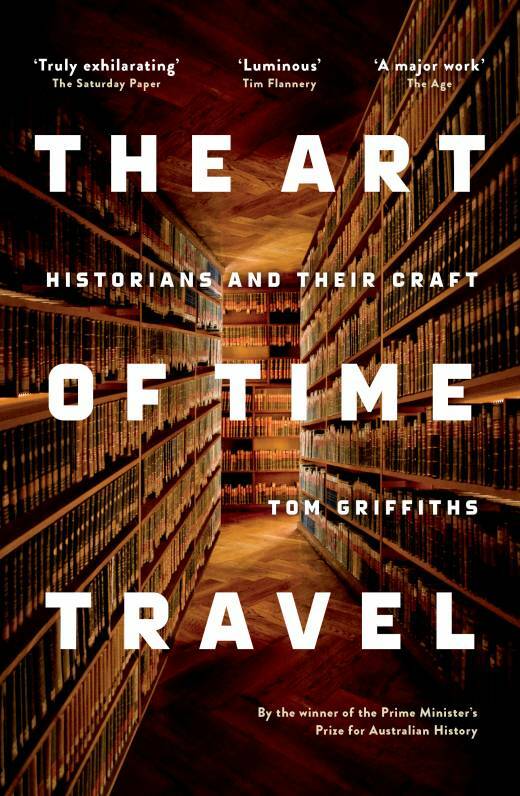 Reading The Art of Time Travel transported me back to my own encounters with the art and craft of historians. I recall reading The Timeless Land in the late 1950s along with a number of other Australian classics – For the Term of his Natural Life (Clarke), The Getting of Wisdom (Richardson), the just published To the Islands (Stow) and Voss (White). Public libraries were windows onto worlds of which I knew little but was curious. Later, as part of my anthropological studies, I became familiar with the sources on which Dark drew; was a post-graduate student at the Department of Prehistory and Anthropology at ANU (1976-80) where John Mulvaney was Chair. His advice to me as I set off to central Australia was ‘bring back data’ and he drew an unflattering comparison with another anthropologist who had ‘participated’ more than ‘observed’ as his fieldwork methodology. ‘My career’s most distressing episode’, wrote Mulvaney of the unconditional return by the Museum of Victoria of human remains from Kow Swamp to the Echuca Aboriginal community for reburial (p. 71). His protest, based on his commitment to seeing ‘ancient Australian history as part of the global human saga’ was at odds with the Aboriginal assertions of ‘local heritage rights’ (p. 71). Mulvaney had advocated for a ‘Keeping Place’ to be managed by Aboriginal people, an option he believed would benefit future Aboriginal and non-Aboriginal people (p. 71). This ‘distressing episode’ is part of a continuing struggle that leads us to ask: To whom does the past belong? How are intellectual property rights in the past to be understood? Can cultural knowledge be copyright? My own research and writing on numerous Aboriginal land claims and disputed sacred sites claims were made much harder by the constant contesting of the veracity of Aboriginal evidence and the privileging of written over oral sources. I was thrilled by Blainey’s Tyranny of Distance in the 1970s and perplexed by his disquiet regarding multiculturalism in the 1980. For my part, the fallout from Blainey’s contrarianism is more dramatic than Griffiths allows. Blainey’s capacity to generate catchy phrases and his standing as a professional historian lent weight to his pronouncements. His speeches and opinion pieces significantly chilled the research climate for those working on land rights and sacred sites protection. It would be another book to tease out the speeches, claims and counterclaims of the protagonists in the culture wars; to trace the escalating rhetoric post the Bicentennial through the 1992 Mabo decision to the 1996 Wik decision; to chart the political alliances, left and right, Labor and Liberal, of historians whose works have shaped policy. As a feminist I am disappointed that Griffiths has not included the work of Australian historians who have sought to recast our understanding of our past with their explicit feminist questions. Part reclamation: Where were the women? What were they doing? Part reinterpretation: What do their stories tell us of our past, of our multicultural society, of our relationship with the land and with the original owners? Patricia Grimshaw, Marilyn Lake, Ann McGrath and Marian Quartly assert the agency and creativity of women in nation-building in their book Creating a Nation (1994). Griffiths demonstrates our shifting understandings of the art and craft of history occasioned by research focused on Aboriginal pasts. Similarly, feminists have provided significant re-readings of the Australian legend. The backlash against and the erasure of feminist scholarship are part of the ‘war’ for the right to define who we are as scholars, a society and a nation. What is clear is that Australian history is a powerful political resource. How, and by whom it is written, matters. Charges of fabrication, the contesting of what is the proper ‘subject’ of history, in what voice and in whose interests it is written all fuel academic fires and rage into public understandings of the rights and responsibilities of the diversity of peoples of Australia. Read this extraordinary work as a series of satisfying tributes to Australian women and men of account; enjoy the momentum; relish the finely-tuned ear for nurturing ideas as Griffiths brings us back to the home note: the past is prologue. And here’s the rub. When in William Shakespeare’s The Tempest Antonio utters those words to Sebastian he is indicating that the past has led them to the act they are about to commit, that is, murder. In popular usage ‘past is prologue’ has come to mean we ignore the past at our peril. For what then is our past prologue? As I am writing this review, the United States presidential campaign has sealed the fate of fact-checkers on past events: historical facts are an optional extra to reality shows. Time to heed Inga Clendinnen’s insistence that ‘the relentless critique of sources’ is ‘the central organising narrative for all serious historians’ (p. 264). Time to plumb the historian’s moral contract with the past. Time to relish the narrative that is ‘at all points open to scrutiny, criticism and correction’ (p. 263). * Diane Bell is a writer, anthropologist and social justice advocate. She is Professor Emerita of Anthropology at George Washington University, DC, USA and Writer and Editor in Residence at Flinders University, South Australia. She currently lives in Canberra, Australia, where she continues as an independent scholar to work on Native Title projects and writing. 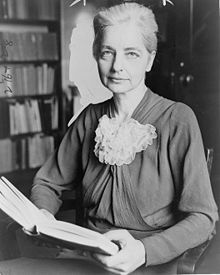 She has published widely on matters of anthropology, history, law, religion, the environment, feminist theory and practice. Her award-winning books include Generations: Grandmothers, Mothers and Daughters (1987), Daughters of the Dreaming (1983, 1992, 2002), and Ngarrindjeri Wurruwarrin: A World that Is, Was, and Will Be (1988, 2014). She has reviewed a number of books for Honest History: search our site under ‘Diane’ or ‘Bell’.